Hello there I have made Luca's birthday card!! No, his birthday is not soon, in fact is not until September and I NEVER make anything in advance I am like hubs calls me lastminute.com. But the 20% off selected stamp sets made me think more about them and that enabled me to find extra potential. 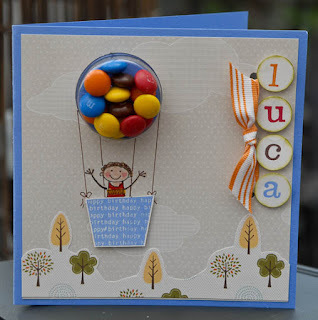 So here's my card using the fabby treat cups and Big Bold Birthday set cupcake base as a hot air ballon. I think I need to add a number 3 somewhere but I will play with it more between and September I am sure. I cannot believe that he is 3 already. I haven't shared a picture with him for a while and here s one from their last visit, I think it was last bank holiday weekend we had in the UK. He just finished building the card in the photo so he was rather pleased with himself at this point. Love the all teeth smile in this shot, and I could kiss the screen right now LOL. Colours on this card are Ballet Blue base and the papers from the Sweet Pea stack. I will miss those papers come September they are so versatile suited both to scrapbooking and card making, if you haven't got round buying them do so now, once they re gone t.
Ok here's the video enjoy and come back soon. 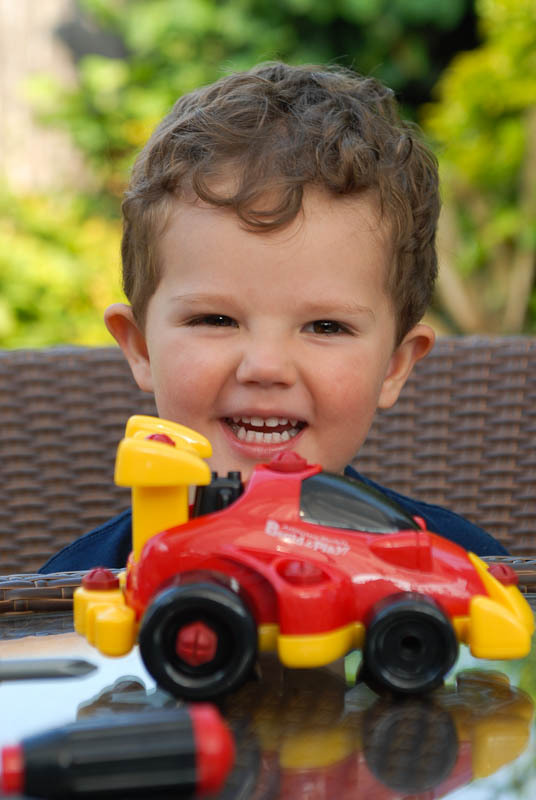 What a gorgeous nephew you have! Loved the video, what a great idea!! I adapted your ladybird treat cup idea so now I am thinking about how to adapt this idea! 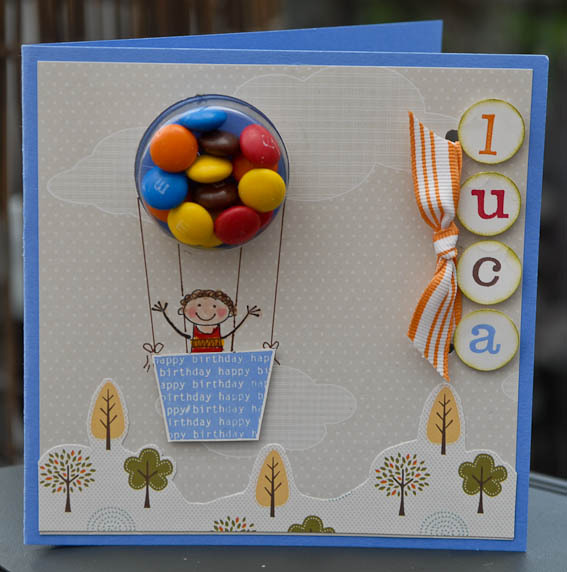 Thanks for a great tutorial Monica and your little Luca is growing up way too fast.